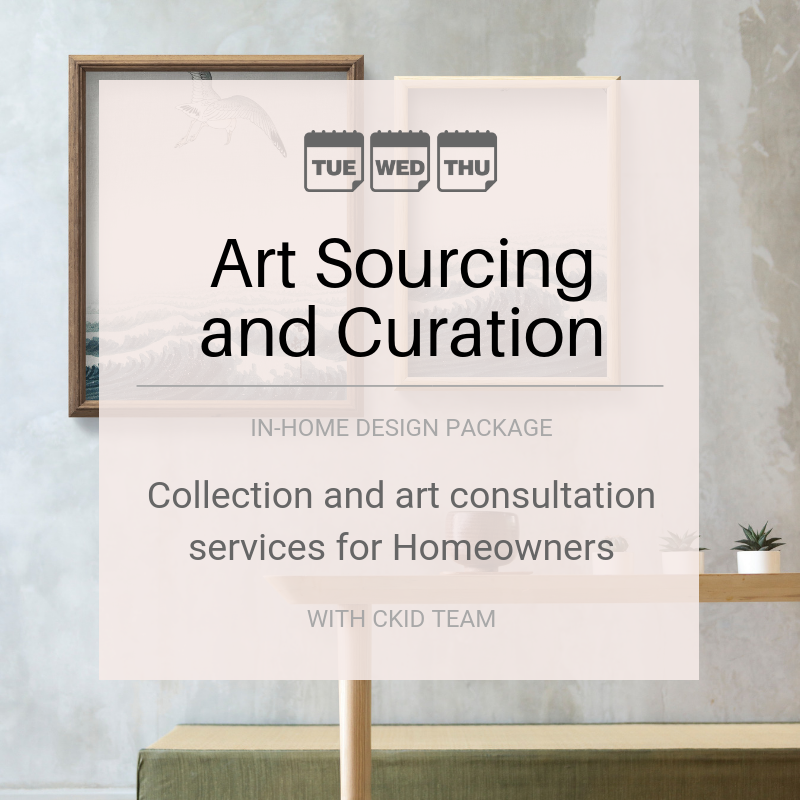 Curating, sourcing + placing artwork is a challenge for most homeowners. We focus on up to 3 rooms and will work with your existing pieces, re-frame / layout, and source new pieces for your collection locally or internationally. Hanging is always performed by professionals and we will even create new art for your needs. Price above includes 5% G.S.T. Meet for 2 hours in your home to assess your needs. We will be taking a lot of photographs to document your needs. Develope art wall plans and layouts as needed for you to execute on your own. During this part we work with you in our Portal. Provide you with a art hanger recommendation, if you are local to Vancouver, to hire at an additional cost. THIS IS A PERSONAL SERVICE AVAILABLE TUESDAY - WEDNESDAY FROM 10A - 4P. SOME SATURDAY EXCEPTIONS MAY BE AVAILABLE WITH A 30% ADDED SURCHARGE. Within the next 2-3 weeks your package is complete and ready to print!